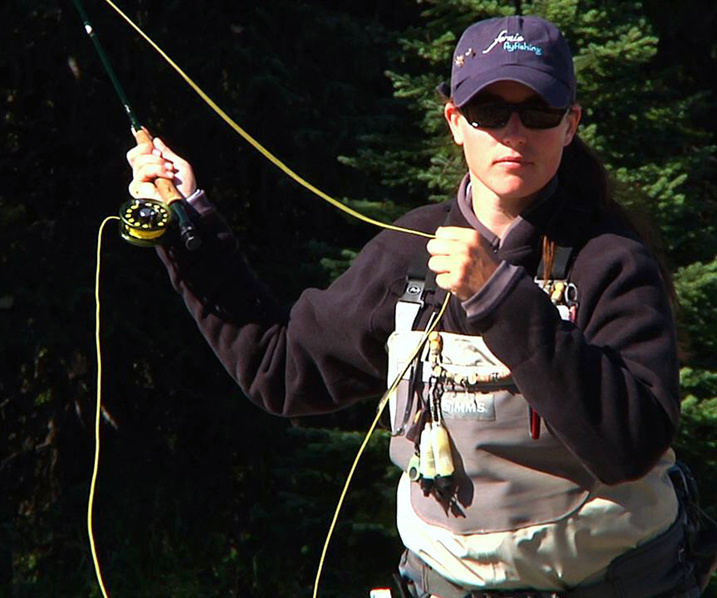 The 2012 Fly Fishing Film Tour, which has been traveling across the country and revving up enthusiastic audiences since February, is coming back to the Inland Northwest. Portions of 11 films are compiled into a 2-hour show set for April 20 the Panida Theater in Sandpoint. One of the most popular segments at the Feb. 8 screening in Spokane was “Doc of the Drakes.” It’s a poignant film, with emphasis on helping one special man catch just one fish. The filmmaker, Bryan Huskey, is a fly fishing guide and media man for Silver Creek Outfitters of Sun Valley. Huskey’s film features an aging doctor, stricken by Parkinson’s disease, who takes a shot at Silver Creek’s fussy trout during its famous brown drake hatch. Roger Phillips of the Idaho Statesman cornered Huskey for an interview. Here are excerpts. Q: How hard was it to film during one of Southwest Idaho’s most famous and short-lived hatches? A: Timing of the brown drake hatch on Silver Creek is tough to nail on typical years, let alone the freaky conditions of last year. I try not to set expectations for shooting video, especially when dealing with finicky nuances of nature. I usually head out with the pile of video gear and assume I won’t get anything good on film. Then some days little things will start to show up, like weather, critters striking trees or insects, and the next thing I know I’m shooting all kinds of cool stuff. Q: How did it feel to be selected for the film tour? A: I guarantee I am the least qualified in the bunch (of filmmakers on the tour). Earlier this year, a short version of “Doc of the Drakes” was selected in the Drake Magazine Film Awards, where it won Best Story and People’s Choice awards. I knew this film belonged in the tour because of the amazing course of events that unfolded in front of the camera, and the genuine and humble nature of the characters in the film. Q: The Fly Fishing Film Tour seems to be a sign of fly fishing evolving from a gray-haired, tweedy sport: Is it becoming an action sport? A: I think fly fishing has a bit of an identity crisis, and some in the sport are trying desperately to make it something it’s simply not — extreme. I find some of those efforts hilarious. However, all that said, the beauty of the sport of fly fishing is its individualism. It’s quite impressive how the sport attracts people from such a wide spectrum of demographics.